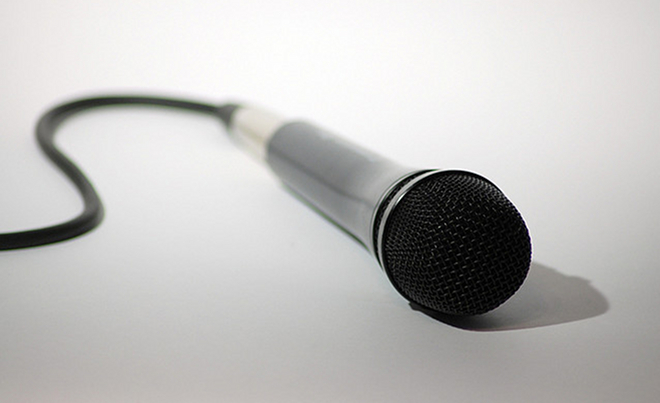 In the interview that accompanied its recent investment in audio sharing platform SoundCloud last week, Fred Wilson of VC firm Union Square stated that “The web should not be mute”. This underlined the fact that until recently audio has yet to really find its place on the Internet in the way that other media such as video has and that this should really be remedied – especially since it’s a highly familiar and, thanks to mobile apps, portable means of sharing messages, thoughts and ideas. Whilst its is likely to be the most mature, SoundCloud isn’t the only audio sharing platform to emerge in recent times and so I though it might be an idea to take a look at other platforms that are paving the way in what is starting to referred to as “social audio” at the moment. The basic service is free and appears to have already attracted a good number of users, including Stephen Fry and BBC London, which means than in addition to sharing your own recordings you’ll have a good range of other peoples to listen to too. Thounds, which describes itself as “a home for your musical thoughts”, allows you to quickly and easily record your audio ideas via PC/Mac or an iOS app and share/collaborate with others by letting them add another layer over your existing recording. Finished tracks can also be shared through blog pages, Facebook, Myspace, Virb and other popular networks. 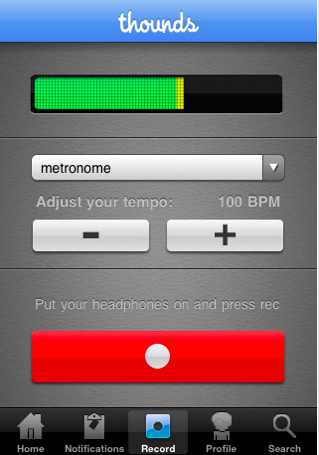 In addition to this, having realised that no such thing already exists, they have also created a Facebook app called YUIO – a simple sequencer and sampler, which allows you to record short sounds (or just use the default beats) to create boom box tunes to share. 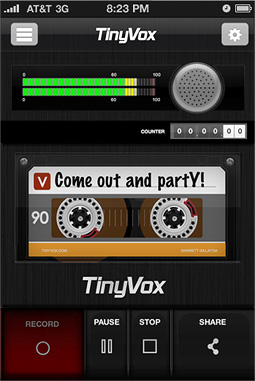 Rather brilliantly mimicking the look and controls of an old school tape recorder, Tinyvox is an iOS app that allows you to easily make recordings and share them to a Facebook, Twitter and Tumblr. 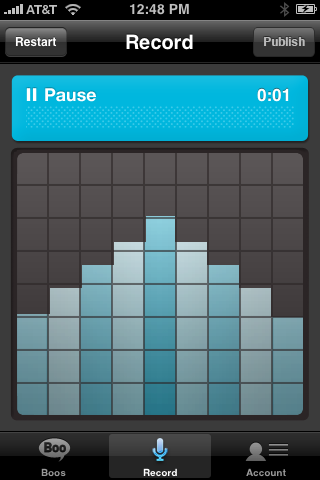 Its a great looking app that, although lacking the features of other social audio tools, is likely to win through due its simplicity and pure retro cool. According to its developers, Android, Blackberry and Symbian versions of the app are planned and will follow after additional features to the iOS app have been added. Tinyvox is currently available from the iOS app store for free or a £2.39 Pro version without adverts, an improved interface and full access to new features as they are introduced. Announced at CES last week, this condenser microphone for iOS devices will allow you to create high quality recordings wherever you are, and also has a headphone input to help you monitor as you do so. Its creators IK Multimedia, who brought us the original iRig guitar interface and Amplitube software, have made sure its compatible with all of the apps above as well as all the other audio tools available for iOS mobile products. 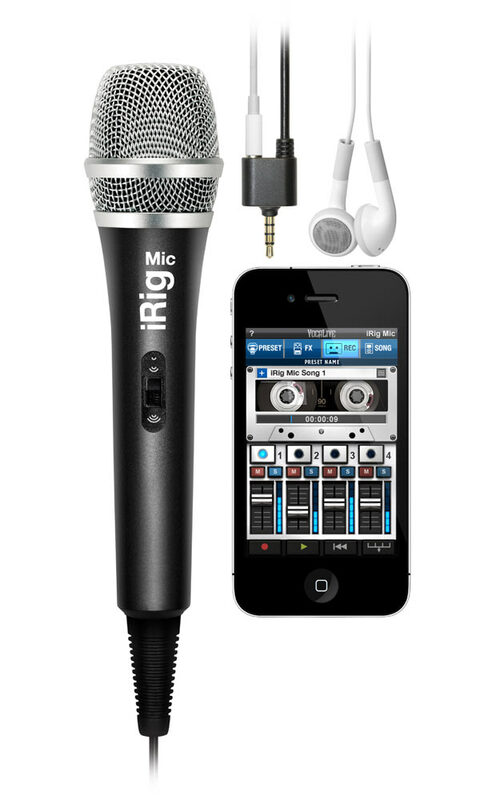 The iRig Microphone is available soon for around £49.99 and I’m sure will be a valuable tool for podcasters, musicians and social audio enthusiasts alike.